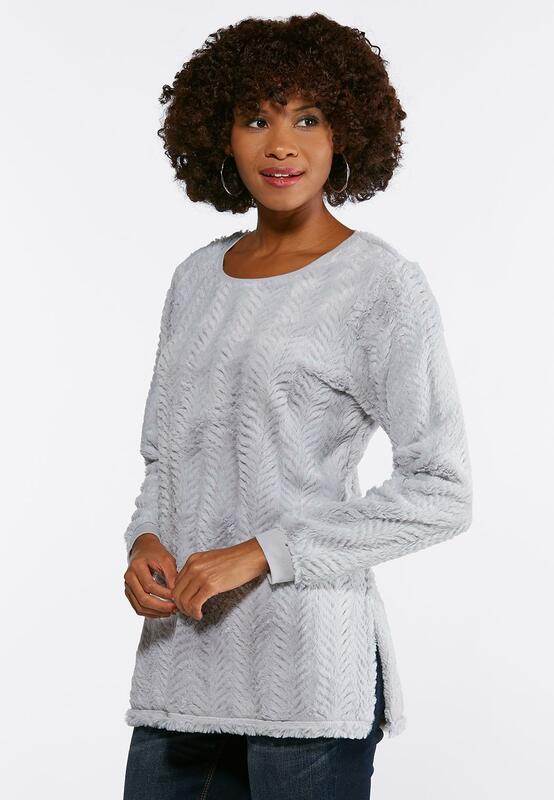 Take a soft and cozy approach to your cold weather style with this stretch knit top, featuring a chevron design and soft faux fur that is hard to resist. 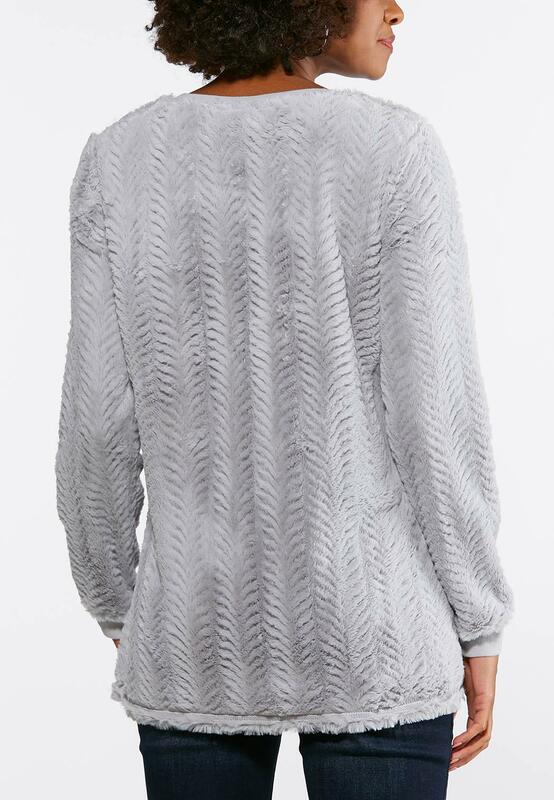 Love, love, love this top, but it sheds EVERYWHERE and all the time--on my bra, chair, lips. Going to have to return it, if possible, unfortunately. Feels like a soft fuzzy blanket, but sheds worse than our 14 year old dog!